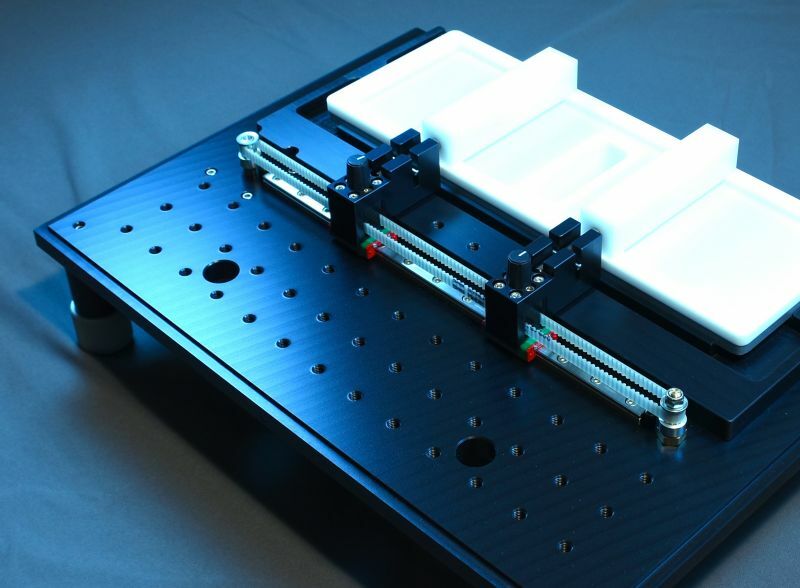 The Microtrough G1 is a small sized, modern Langmuir trough. Please choose between the available options below. More information on these accessories can be seen under the related produts -tab. You can choose troughs for your setup. We recommend selecting at least one trough as troughs are not included in the basic setup. Note: Remember to choose the matching L/L barriers below. Note: A set of POM barriers are already included in the basic setup. Small programmable dipper. Motion range 90 mm. Complete your setup with additional accessories. 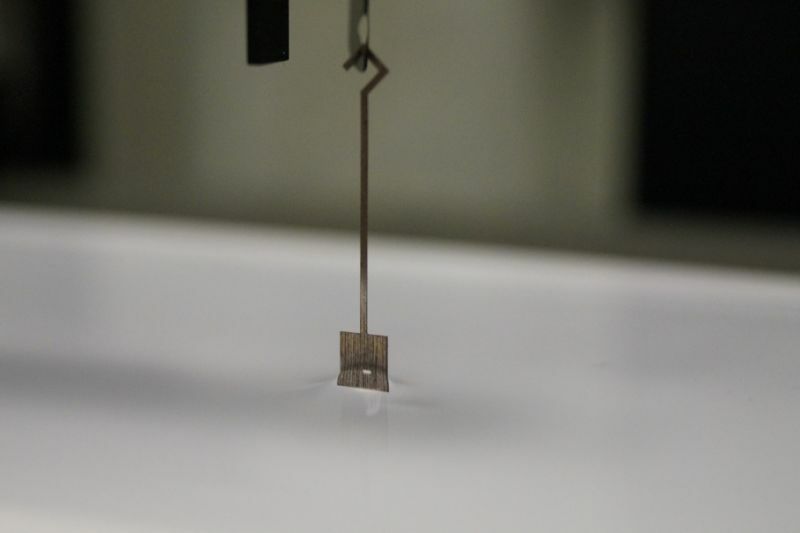 The current trend in Langmuir research is to combine the technique with other methods. 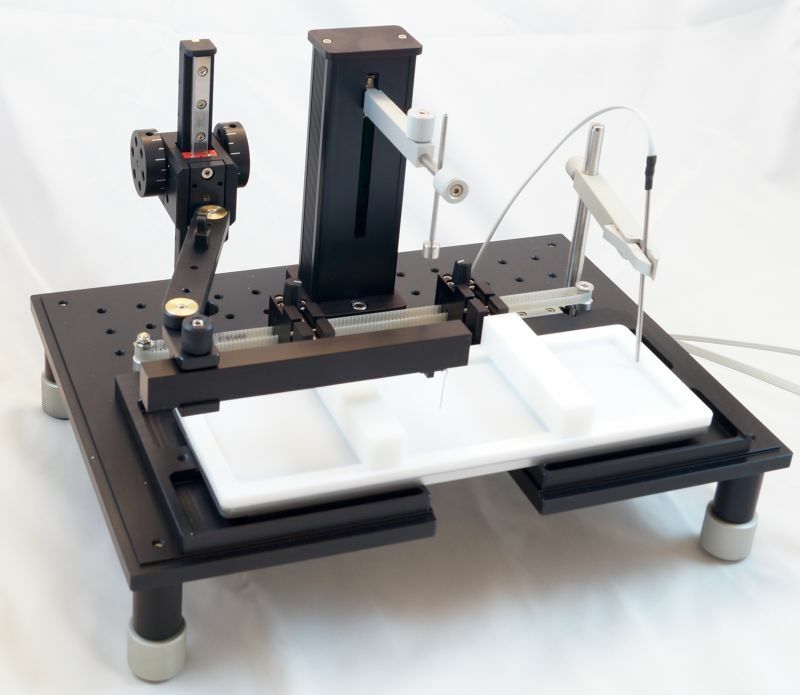 Whether it is deposition on samples, spectroscopic, scattering or imaging techniques, the open architecture of the instrument provides easy access to the subphase surface. 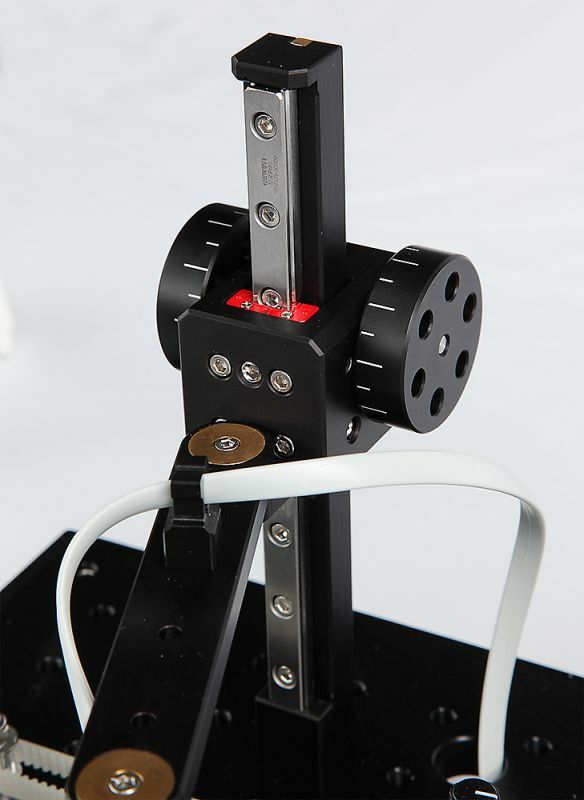 The barrier drive motor has been placed below the baseplate, the trough level has been raised with respect to other structures so that laser and x-ray measurements can be done at gracing incidence. 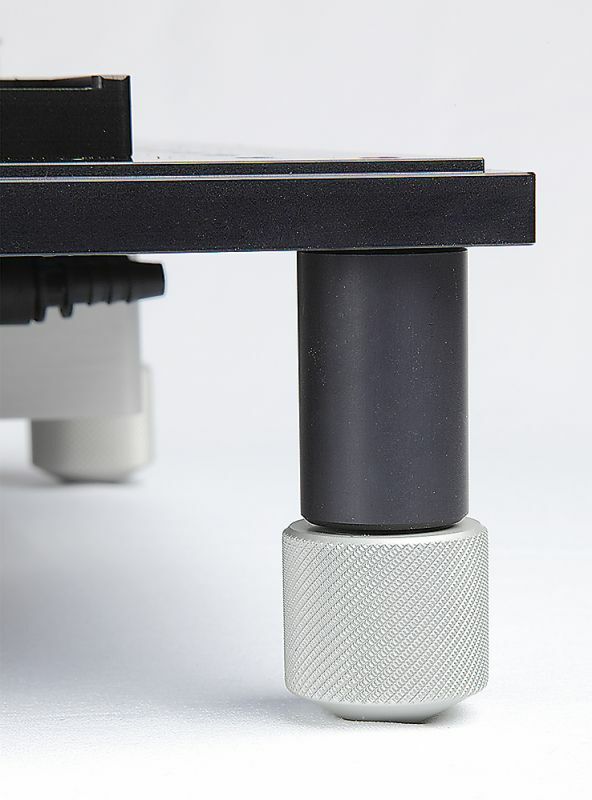 The baseplate is built of robust 12.5 mm thick aluminium. 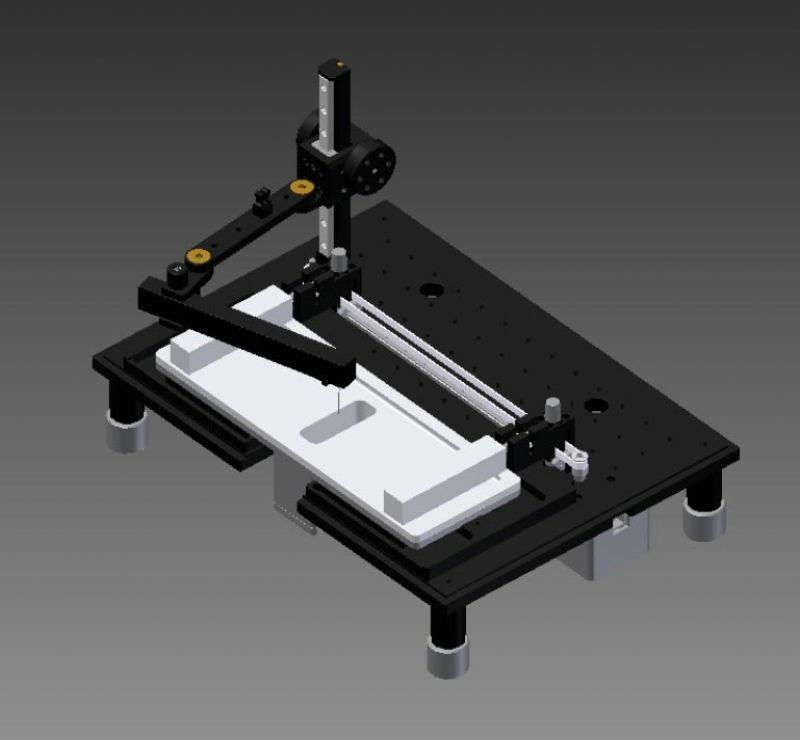 It has a standard optical breadboard holes along the edges (25 mm x 25 mm M6) for easy accommodation of auxiliary equipment - from Kibron or other manufacturers. The water circulation channels for temperature control have been built into the baseplate. This facilitates removing, washing and exchanging the troughs, without the need to disconnect circulation tubing. The thick metal layer between the subphase and temperature channels reduces temperature gradients in the trough - this is a point which is rarely realized in designs were the temperature control channels are directly located below the PTFE bottom of the trough. #6862 Aluminium Base Plate with stepper motor and integrated water channels. Four adjustable feet.